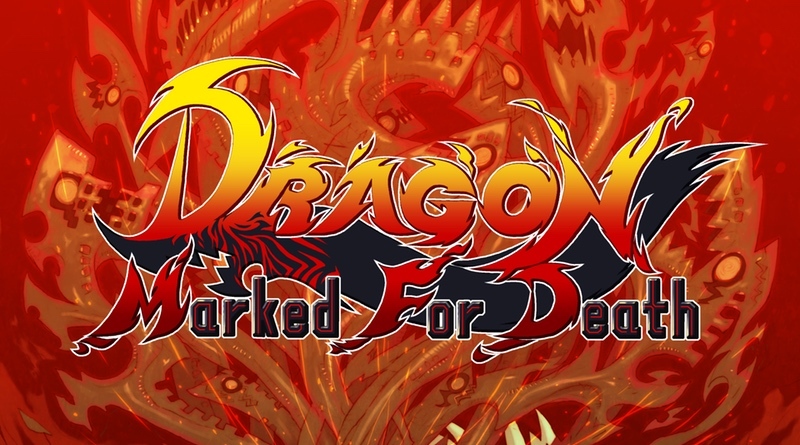 When I first saw that Dragon Marked For Death was coming to the Nintendo Switch I sat up and took notice. Sure, the colorful pixel art graphics were an immediate draw, but knowing that Inti Creates was behind the game instantly sold me. These were the guys (and gals presumably) that brought us titles like Blaster Master Zero and Bloodstained: Curse of the Moon – both of which I loved. I was eager to see them work on a new and wholly original concept. Learning that it would support co-op sealed the deal as I’m a sucker for co-op brawlers and this one promised RPG skill trees and adventurous quests to undertake. Imagine my disappointment when, after putting several hours into the final product, the game just didn’t grab me. Don’t get me wrong, the game does some great things, but pretty graphics can’t make up for bland gameplay and ideas that just don’t pan out. Let’s focus on the good stuff first. You take on the role of one of four heroes who sets out to seek revenge on a Kingdom that has completely decimated your kind. Only a few members of the Dragonblood Clan still live and it’s up to your team to set things right. The story is told rather quickly through text bubbles and is quite entertaining. I was immediately struck by the beautiful visuals. They reminded me a little bit of Guardian Heroes on the Sega Saturn, with their big detailed sprites and multiple levels of parallax scrolling. The game is very brightly cast with colorful hues and the medieval setting is perfect. Each character and enemy animates wonderfully and there’s a great attention to detail present in all of the various moves and attacks. Depending on which character you play, you’ll have various weapons and powers at your disposal. My first play had me in the role of the Empress. She’s a powerful force to be reckoned with and has a sort of magical blade attached to one of her arms. Combat revolves around the player attacking with an equipped weapon to build up a bar that feeds into your magical abilities. Filling this up allows the Empress to shoot small fireballs, or if you hold down the button her sword transforms into a huge flamethrower gun that will deliver massive amounts of damage to your enemies. The game requires you to constantly attack enemies to fill that gauge so you can then use your special ability. She also had a sort of grappling hook that she can use to swing to otherwise unreachable platforms. Other characters feature more mobility options, like a double jump and a wall jump, so it’s best to try out each one to see which ones fit your play style the best. But, that’s where we run into the first problem. You see, Dragon Marked For Death is sold in two different versions and each one of them costs $15. With the Frontline Fighters edition you get to play as the Empress or the Warrior. They come with a bit more oomph to them and can take more of a beating from the enemies. The Advanced Attackers version lets you play as the Shinobi or the Witch. They’re a bit more nimble and have some excellent ranged attack options. If you want the full cast of characters you’ll effectively need to spend $30. If you’re planning on playing co-op with a friend it might be a good idea for each of you to purchase the other pack for a bit of variety. A huge missed opportunity with the co-op is that the game doesn’t support local shared screen or split-screen. In other words, each person wanting to join in has to have a Switch and a copy of the game. This is in stark contrast to the “Share The Joy” message that Nintendo often touts whereby players simply slip off a Joy-Con and join in. Luckily there is an online co-op feature that works just fine. You can search for a game with random people or select only friends. Once again there is no voice chat option here (an annoying reality of most Switch online games), so you can use the in-game chat, which consists of select pre-made phrases. Or you can use another voice chat program, like Discord or what I tend to do is boot up my PS4 party chat and simply use that as I play my Switch. Another issue with the game crops up after the tutorial mission. Your very first quest will pit you against a boss that you’re almost guaranteed to fail against. The boss is so difficult that it took me about 5 runs to finally kill it. The problem here isn’t just that the big bad is challenging, it’s that the game is horribly designed. Here’s how missions work. You go to the bar and select a mission (of which there is only one at the beginning of the game). You warp to the level and you’re free to go left or right. The first level has a bunch of different paths you can take, including climbing into trees and jumping on the tree branches to find secret treasure chest. When you open these up, very often you’ll acquire new items and gear. Unfortunately most of them have to be appraised, which means you don’t know what you’ve found until you complete the level. You can’t spend too much time exploring because there’s a countdown timer that will instantly end your mission if it reaches zero. As you progress through the stage you’ll come across all sorts of enemies that you can destroy. You’ll earn small amounts of experience for each one you kill. Eventually you’ll make it to the end boss, and the first boss is a real piece of work. He’s what FPS fans would call a bullet sponge. You sit there and wail on him with your weapons and your special powers and it barely puts a dent in his health bar. You’ll need to spend a great deal of time learning his patterns and basically running up and slashing him over and over again. Playing as the Empress I didn’t have a double jump, so there were times where the boss would literally pin me up by a wall and there was no way to avoid its attacks. Most games will slowly ramp up in difficulty, but this one really throws you to the wolves right in the first level. It was so bad that I honestly thought I was missing something or doing something completely wrong. It turns out I wasn’t! Many reviewers have had the same issue – it’ just really bad challenge balancing. Or is it? Maybe the game is deliberately this difficult to encourage co-op play? If so, that’s pretty diabolical and disingenuous. At least games like Destiny and Anthem have the decency to require mandatory match-ups for the harder parts of the game so you have a full crew of fighters. With Dragon Marked For Death it feels like you’re actively playing the game wrong if you’re playing solo. To be clear, I’m not saying a game shouldn’t be challenging. However, this just feels like extreme padding and when it takes 5-plus minutes to take down a boss and you’re literally doing the same moves over and over again, it gets old really fast. If you fail the boss the slap in the face doesn’t end there. Remember all of those treasures you worked so hard to find? They’re gone! Oh, and any potions or herbs you may have used during the level to help you along your way? Those don’t come back! You’re sent back to the town to try the mission again from the beginning. There aren’t any checkpoints to make the pill easier to swallow. You do keep your Gold that you collected from fallen enemies, so you can save up some money to buy more items and maybe a better weapon, so there’s that. For the purpose of this review I teamed up with fellow reviewer Jay Kittelson. We played co-op and as we made our way through the game he had the same complaints I had. The biggest problems with Dragon Marked For Death are the difficulty spikes, the damage sponge of the enemies, and the repetitive and downright boring gameplay. Instead of exploring a rich cohesive world, it felt like disjointed levels with timers attached to keep us moving along. I will say that the online co-op worked well and I really like that if one player opens a treasure chest, the entire team automatically gets something without each having to manually open it. Also, and this is just a small thing, I thought the use of HD Rumble was pretty cool because when you got close to your buddy you could feel when he was landing hits on an enemy. This is probably a game worth playing with a full four players to mitigate some of the issues we encountered. I can’t help but be disappointed with the final product given this team’s pedigree. Here’s hoping the next game returns to form! On the surface Dragon Marked For Death ticked all the right boxes: beautiful sprites, colorful graphics, co-op action/adventure, RPG elements, and compelling story. After playing it became obvious the game offers a very shallow gameplay experience with repetitive combat, difficulty spikes, and bosses that just won’t die. The bottom line is that this one just isn’t all that fun to play.